Mike’s presentation is part of a University of Illinois-Springfield luncheon program called “Chasing the American Dream to the Heartland” from 11:30-1:30 Wednesday, Oct. 3 at the UIS Public Affairs Center (parking in lots C and D). The cost is $20 and includes a hot buffet lunch. Registration is required at http://www.uiaa.org/uis . For more information, please phone 206-7395. Mike is a first-generation Lithuanian-American who was part of the post-WW II “Displaced Persons” immigration to the United States. He is also executive director of historic Oak Ridge Cemetery, the burial place of Abraham Lincoln. I really should introduce myself to you-been following this for a year or so. I am Maria Race, my Lithuanian relatives were coal miners in Springfield in the early 1900s, Mankus and Tonila families. I live in Chicagoland and am hooked into the Lithuanian community here. 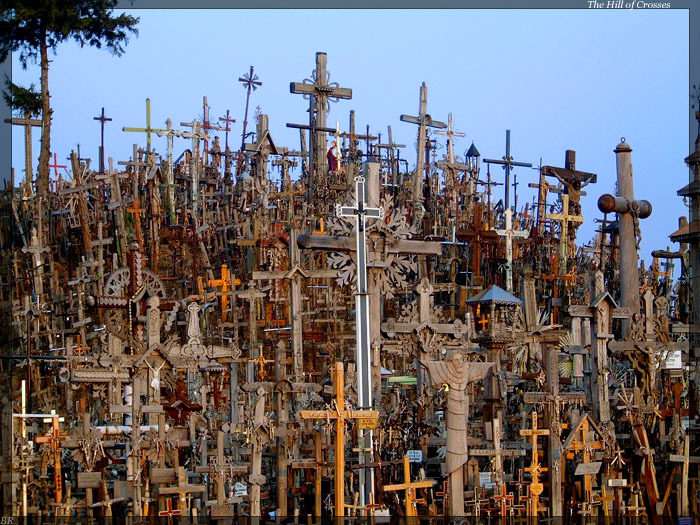 I went to Lithuania last year and have a ton of pictures of the Hill of Crosses if you need any. I can upload to a google file if you want to see them. Also, I will try to make it for the talk, I come to Spfld regularly on business-none of my relatives are left in Spfld since my parents moved to be near my sister in Boise last year. Thanks!